5408 E Skinner Drive, Cave Creek, AZ.| MLS# 5891893 | Desert Dream Realty Cave Creek | 480-252-8300 | Find Your Dream Home with Us! 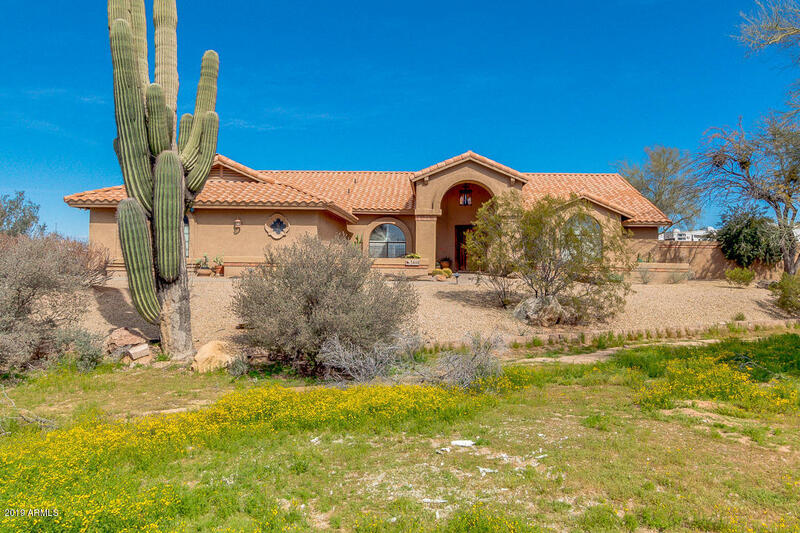 Custom-built, Spacious single story 4 bedroom, 2 bath home on level 5-Acre Horse Property in south Cave Creek. Front courtyard, covered entry, vaulted ceilings, arched windows, living room, family room open to convenient kitchen with breakfast bar, built-in microwave, breakfast nook, plant shelves. Fireplace in family room, French doors to extended covered patio. Large split master suite w/sitting room, huge walk-in closet, separate jetted-tub, shower, double sinks, vanity. Extended patios, dual pane windows, extra large 4-car garage, fenced back yard. RV gate. Turnouts with lots of room for large arena, barn, whatever horse set you want or room for RV, trailers & all your toys. 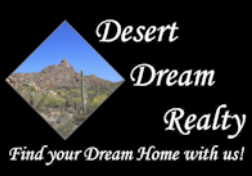 Private, but near Tatum Ranch/Desert Ridge. Five Acres and views of Black Mountain!! No HOA!!! !